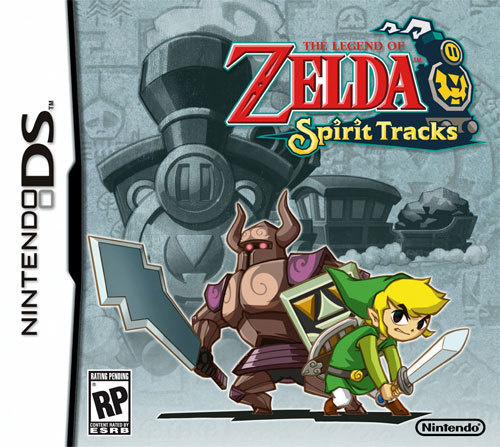 A few days ago, we told you guys about some rumors surrounding The Legend of Zelda: Spirit Tracks—a possible release date, and what might have been the game’s box art. Today, Kotaku reports that we now have a totally official release date of December 7th and what very well could be the finalized box art, which you can find pictured to the left right. So, for all you moms reading ZI, close the Google Image search results for Gerard Butler (300 for the guys, The Ugly Truth for the girl) and pre-order what surely will be one of biggest titles of the holiday season. Nintendo also announced release dates for two other DS titles: Pokémon Mystery Dungeon: Explorers of Sky on October 12th, and some totally fierce fashion game entitled Style Savvy, due out November 2nd. Really glad I didn’t make any train puns in this news post. So proud of myself right now. Keep a heads up for further information in the next coming weeks. Geml out.